As I’ve mentioned a few times, I’ve given some thought lately to swapping out my Mustang for something with cheaper running costs. I’d like to do more track days this year, and as I’m staring down another $1200 tire purchase I’m keeping alternate options open. Tires for a BRZ would be about half that for a full set, giving me more for the money. And that doesn’t even begin to cover brake pads, gas, and insurance costs all which would be quite a bit less expensive. Today I test drove a ‘15 FRS. I came away pleasantly surprised. It’s a nice car, the power isn’t as bad as I expected. It has a decent punch and feels responsive. No, it isn’t fast, but it’s not obscenely slow on surface streets. The small stature and lightness on its feet definitely helps make up for it. It’s just a different experience to the Mustang: it revs out more and can wring it’s neck without speeding, whereas staying in it to redline in the Mustang puts you in ticket territory. I was also pleasantly surprised at the ride. On some less than stellar roads it felt about the same as the Mustang, and 75 on the highway at 3100 rpm or so isn’t terrible. The cabin was also surprisingly roomy, at least driving alone. Better visibility than the Mustang for sure, and I actually fit in the heavily bolstered seats which has been an issue in other cars in the past (lookin at you ST/RS Recaros). About the only downside was the sound and power. Which I knew. But it’s not like the Mustang sounded amazing with a restrictive stock exhaust either. Would an exhaust make it at least interesting? Idk. Power, damnit why do these not have more?! Seriously, 250/250 is all it would take IMO, it could be the best car. I did get the tail a little loose at one point so the skinny little tires help make up for it but damn. I’m not suggesting it needs to be some 400hp monster, but it deserves more. So what does oppo think? Will it be reliable and take a beating at autox and on track? Has anyone gone from a V8 pony to a BRZ here? Did it leave you with regrets, or did you put the noise behind you? 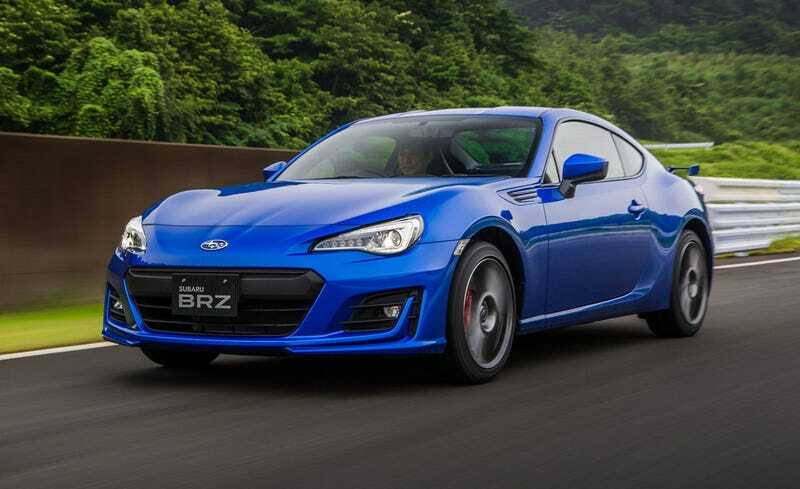 I think I would be sure to get a BRZ, with push button start, heated seats, and automatic climate control. Maintain some luxuries.